The Way of the Prophet features 393 traditions of the Prophet Muhammad and provides a commentary to elucidate their meanings. This comprehensive selection covers faith, worship, morality and character, ethics, society, low and politics in Islam, It was originally complied in 1956 by Shaykh ‘ Abd al-Ghaffar Hasan of Delhi at the request of Sayyid A la’ I a Mawdudi and is based mainly on the Mishkat al- Masabih of Al-Khatib Al Tabizi and the Adab al- Mufrad of Iman Bukhari . The original Arabic text of the traditions accompanies the English translation. 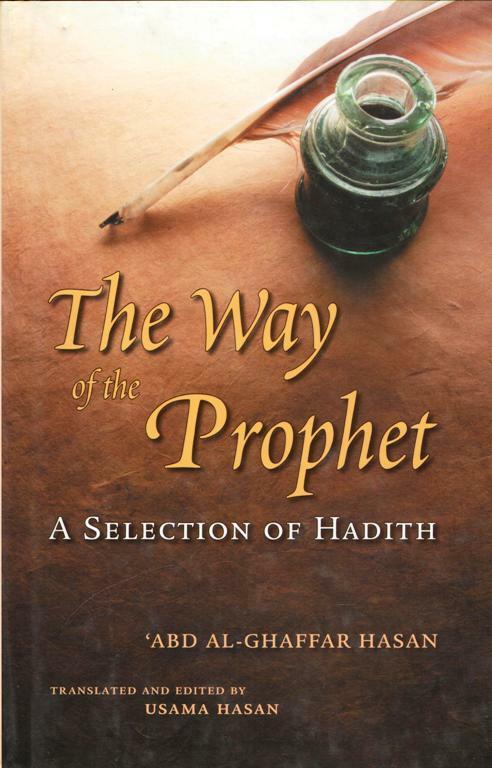 This work provides a comprehensive and concise introduction to the teachings of the Prophet. Shaykh ‘ Abd al- Ghaffar Hasan ( 1913/ 1330-2007) was a graduate of the famous Dar al- Hadith al- Rahmaniyyah in Delhi who dedicated nine decades to the propagation and teaching of Islam. He taught the sciences of Ahadith at the University of Madinah between 1964-1979, and later served three terms on the Council of Islamic Ideology in Pakistan.